Mac users who have older hardware laying around which are unable to run modern versions of OS X may be relieved to discover that Mac OS X Snow Leopard (10.6) and Mac OS X Leopard (10.5) are available to download directly from Apple. These versions of Mac OS X are over half a decade outdated and are now unsupported, making them appropriate for advanced users and those who require specific legacy software support within a virtual environment or on appropriately aged Mac hardware. Downloading these prior releases of Mac OS X requires an appropriate Apple Developer login that you’d get with joining the Mac Developer program, and are otherwise inaccessible from free developer accounts or the general public. 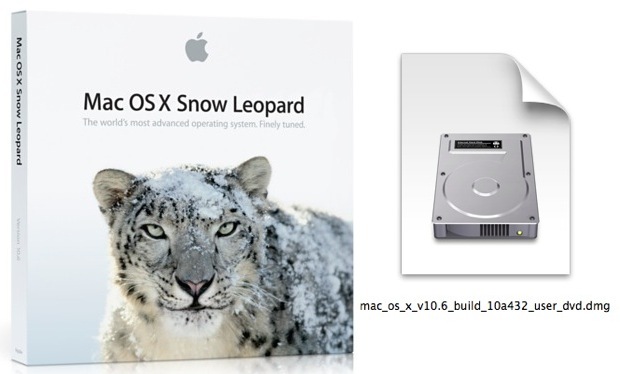 System requirements for legacy versions of Mac OS X 10.5 Leopard and 10.6 Snow Leopard are quite basic, and the releases run fine in virtual machines as well. We’ll touch on install methods with links to appropriate tutorials in a moment. The following two disk images are the complete installer DVD in DMG format. The downloads come directly from Apple, and require an ADC login to access. Once you get the dmg files you can either burn them to a DVD to make an installer disc, create a Snow Leopard bootable install drive from them, or run Snow Leopard within a virtual machine like VirtualBox or VMWare. The virtual machine approach continues to work with all modern versions of OS X, letting Snow Leopard run atop Mavericks and Yosemite. For running on native hardware, the system requirements for Mac OS X Snow Leopard are quite basic, including an Intel processor, 1GB of RAM, and 5GB of disk space. It’s very important to note that new Macs can not run Mac OS X Snow Leopard. Only older hardware can run older versions of Mac OS X in general, attempting to install Snow Leopard on something like a new Retina MacBook Pro will fail and is not worth attempting. If you do download and install Mac OS X Snow Leopard, you can continue to obtain combo updates all the way through Mac OS X 10.6.8 through Apple Support, and they should still be available through the Software Update mechanism on the older Mac OS X release as well. Thanks to @stroughtonsmith for pointing out the legacy software ADC links on Twitter. I don’t have an ADC Login but still want Mac OS X Snow Leopard, what should I do? For Mac users without a membership to the Apple Developer program, paying the $99 annual fee makes to access the downloads makes little sense. Instead, you can still opt to purchase a physical installer DVD of Mac OS X Snow Leopard from Apple for a cost of around $20. Whether or not an old unsupported release of Mac OS X like Snow Leopard is worth $20 when all newer versions like OS X Lion, OS X Mountain Lion, OS X Mavericks, and OS X Yosemite are free and downloadable directly from the Mac App Store is debatable, but the old system software could be appropriate for certain environments where the newer releases of OS X are unsupported on specific Macs, or where a virtual machine of the older OS is required. Ah the perks of being a developer. 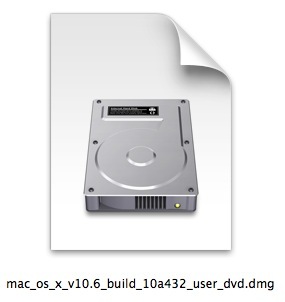 iOS and OS X betas, and DVD image downloads of ancient crusty Mac OS! Snow Leopard was such a great release and so stable. I ran Mac OS X Snow Leopard in a virtual machine for a while so that I could play Warcraft 3 Frozen Throne (such a great game!) but it never really worked well. This makes me want to try it again on a much newer Mac, perhaps it would play well on new hardware, anyone try this? Apple appears to have pulled this—I have memberships in both Mac and iOS developer programs and these are not available to me. Which is really too bad because I do need 10.6 for compatibility testing. it will take you to a pdf, you don’t have to read it. Just go to the site then try downloading. I can confirm this works. I was just able to start downloading 10.6 by navigating as suggested above. Note: Do not just reload the “unauthorized” page, fire off the download link in the article above again. where can i find that pdf ? guide me please i need leopard 10.5 . Trying to find a 10.5.x install disk to update an old 20″ PPC iMAC recently given to me. It’s currently running 10.4.11. Hoping this link would work, alas I’m not ADC. No joy at Apple store nor 800-Apple. I also need this same thing. Any luck on this yet? The 10.5.8 Combo is just a update for the 10.5.0 -> 10.5.7 and is not the full dvd installer. the same for the 10.6.8 Combo. If you install from a disc made from 10.5.0, and then boot and first thing you want to do is run Software Update, it will offer the 10.5.8 combo update but it can’t be installed. You have to download and install first the 10.5.6 combo update and then you can do the 10.5.8 combo update. I found this out recently reviving a PowerBook G4 with a replacement hard drive. Leopard retail DVD I have. Neither Software Update nor my 10.5.8 combo.dmg worked, so following a tip, i found the 10.5.6 combo update .dmg online and that worked to get me over the hump and then I could use the 10.5.8 combo and Software Update took care of the rest. Still better builds than OS X Yosemite. it IS!! i’ve used leopard, mav, el cap and sierra, and leopard is, BY FAR, the best os i’ve ever used. period. I have an expensive program that won’t run past Snow Leopard. Is it true 10.6 is no longer supported by Apple? Thank you sir. I just told a woman the same thing today. Glad it was validated by seeing your comment. Though somebody down below in the comments is saying it’s still fully supported, I think they mean by Applecare. Gmail and Youtube are telling people their Snow Leopard version of Safari is outdated. I also think people are screwing up their Safari by downloading the Safari update through the quick links the Youtube page provides to update your browser. The problem w older systems is a computer will not install system software older than it was produced. One must use Virtual Ware on a new machine or use an old machine. As a developer, I run Snow Leopard on one partition and Yosemite on another. I only use Yosemite for development and testing. Snow Leopard is my daily OS. This links are not working for me and yes I do have a ADC account. Just log in to your developer account. I think you select “Mac”, then scroll down and select “View All Downloads”. Then just type “Leopard” in the search field. It’s probably on the last page of downloads due to its age. That would depend on if you have a PowerPC or Intel, I guess. No. 10.5 (Leopard) was the release you mean. Still on 10.6.8 and all is well. Couldn’t get Yosemite Sam to install. Kept getting error msgs. Gave up. I have too many convenient apps that I like to upgrade and there is nothing I need in the newer OSs. I have a newer current Mac but on my old Mac I installed Linux Mint and it runs great. There is still life for your old Macs yet. btw those DVD image files are from the original 10.5.0 / 10.6.0 and not from the last retail 10.5.6 (9G66) / 10.6.3 (10D575) install DVDs. 10.6 is not supported at all and cannot be found on the dev web site. Pretty sure I stopped paying for upgrades after snow leopard. Half a decade, oh, my God! Wait, that’s 2010. Never mind. Need 10.5.8 in order to run a software i a PowerPC. Any hints? I don’t suppose anyone knows where to find this after the new changes to the developer program? I’m after the intel 10.5 rather then the PPC version, PPC version I have. I am looking for Leopard 10.5 so I can upgrade from 10.4.11 . My girlfriend has been after me to upgrade the system. Any help would be appreciated. Thanks. She has a PPC IMAC G5 2.1 Ghz. Anywhere I can download it? Still works in 2016. Thank you so much, saved me almost $500 for Leopard server! I’m looking for a Snowleopard iso to enable an old filemaker server P-to-V. I have a copy of Snow Leopard server, from when you could still download it for free from ADC (I do not even pay for a membership. It is in the free downloads). If you email me through the contact link on my website (click my name) I may be able to send you a copy. I’ve received quite a few emails over the last couple years. Updating this message to add a few things — It’s not a release version. It’s an early beta of 10.6.1. It’s not something you want for daily use. It’s probably more interesting to collectors than your average user. I don’t think they even meant to let you download it from the public page. It’s the only full macOS installer you could ever get from there. If you’re still interested, I’ve got it (and some other Apple related files) at junebeetle [dot] github [dot] io [slash] links. A year or so ago, I found the 10.6 server link and downloaded it, all without an actual paid developer membership. Now it just takes me to the unauthorized page. Turns out that this was actually a different build, the file downloaded as “snowleopard_10a403_serverdvd.dmg”. I still have it if anybody is interested, seeing as it was a free download I don’t think this is an issue. I had to log in, but I was not paying for a developer membership. You can contact me through my website. I’m upgrading an iMac8,1 to a current MacOS (hopefully Sierra, but may not come closer than Yosemite) and I require 10.6 before I can continue the upgrade. Paying for the 10.6 DMG doesn’t make sense for me, since I will run it exactly once. This policy appears to cut off an entire class of Macs. I know my iMac is quite dated, but it’s the best display in the house, and it’s used simply as an iTunes server and for “guest” web access. Snow Leopard is 10.6, you can’t upgrade from 10.8 to 10.6 that would be a downgrade. This is downloading Mac OS X Snow Leopard. I’d like to know how to contact June beetle for the leopard OS in case you have any link for the download. Exactly what were the steps you used? Did you use the pdf thingy? If so, how? I can’t seem to get it to work.